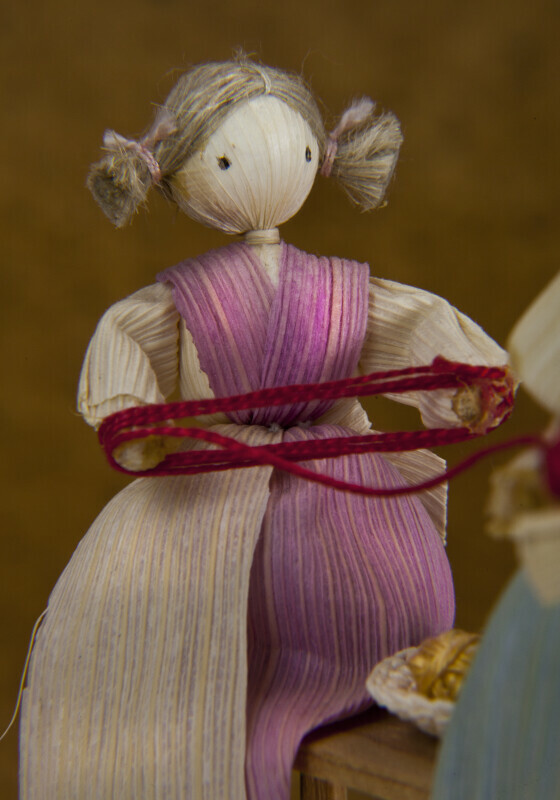 Young girl that is handcrafted from corn husks that have been soaked in warm water. The husks are then formed into the body, arms, head and dress. The girl's dress is dyed pink. She is sitting on a wood bench holding yarn for her mother. Several colored yarn balls are in a basket on the bench. Her hair is made from fibers and styled in pigtails. The figure stands 6 inches (16 cm) tall.